Once thought of as the province of only "Star Trek" or "Harry Potter," cloaking technologies could become a reality with a specially designed material that can mask itself from other forms of light when it is hit with a "beam of invisibility," according to a new study. Theoretically, most "invisibility cloaks" would work by smoothly guiding light waves around objects so the waves ripple along their original trajectories as if nothing were there to obstruct them. 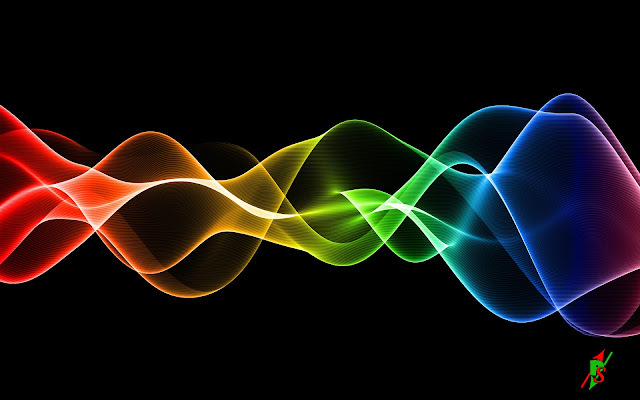 Previous work found that cloaking devices that redirect other kinds of waves, such as sound waves, are possible as well. But the new study's researchers, from at the Technical University of Vienna, have developed a different strategy to render an object invisible — using a beam of invisibility. Complex materials such as sugar cubes are opaque because their disorderly structures scatter light around inside them multiple times, said study senior author Stefan Rotter, a theoretical physicist at the Technical University of Vienna. "A light wave can enter and exit the object, but will never pass through the medium on a straight line," Rotter said in a statement. "Instead, it is scattered into all possible directions." With their new technique, Rotter and his colleagues did not want to reroute the light waves. "Our goal was to guide the original light wave through the object, as if the object was not there at all. This sounds strange, but with certain materials and using our special wave technology, it is indeed possible," study co-author Andre Brandstötter, a theoretical physicist at the Technical University of Vienna, said in the statement. The concept involves shining a beam, such as a laser, onto a material from above to pump it full of energy. This can alter the material's properties, making it transparent to other wavelengths of light coming in from the side. "To achieve this, a beam with exactly the right pattern has to be projected onto the material from above — like from a standard video projector, except with much higher resolution," study lead author Konstantinos Makris, now at the University of Crete in Greece, said in a statement. The pattern that is projected onto an object to render it invisible must correspond perfectly to the inner irregularities of that item that usually scatters light, the researchers said. "Every object we want to make transparent has to be irradiated with its own specific pattern, depending on the microscopic details of the scattering process inside," Rotter said in a statement. "The method we developed now allows us to calculate the right pattern for any arbitrary scattering medium." Rotter and his colleagues are now carrying out experiments to see whether their idea will actually work. "We think that an experiment would be easiest to perform in acoustics," Rotter told Live Science. For instance, loudspeakers could generate sound waves to make a tube "transparent" to other forms of sound. "For me, personally, the most surprising aspect is that this concept works at all," Rotter said. "There may be many more surprises when digging deeper along these lines." Eventually, similar research could also experiment with light, he said. Such work could have applications in telecommunication networks, Rotter said. "It is clear, however, that considerable work is still required to get this from the stage of fundamental research to practical applications," Rotter said. The scientists detailed their findings online Sept. 8 in the journal Light: Science & Applications.